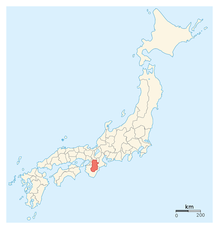 The Yamato period is named after the Yamato province where, during this time period, the Imperial Court ruled. The Yamato Province is located in today's Nara Basin. During this time period, the Yamato government took hold of western Japan through negotiations and warfare. The Yamato seemed to have defeated a rival power group located in Izumo. During this time period ruled the first verifiable emperor, Suijin. Whereas the Nihon Shoki claims that Emperor Suijin was the 10th emperor, and that he died in 30 AD, however he is the first emperor of Japan whose existence can be verified, and his death was most likely in 318 AD. Using the texts Nihon Shoki and Kojiki are very unreliable as they were written around the year 700 AD. The Yamato Period can generally be divided into the Kofun Period and the Asuka Period. However, the exact dates are a bit blurry because the Kofun and Asuka Periods aren't mutually exclusive. That is, the Kofun period is more of a cultural / archaeological time frame, whereas the Asuka Period is more of a political / historical time frame; the two overlap to some degree. The Kofun Period is so named because of the giant tombs erected for deceased powerful people. Emperors and chiefs of clans had kofun constructed for them. 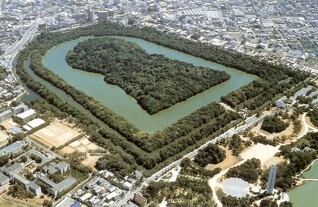 Himiko had the largest (of her time) kofun constructed for her. They were raised mounds and were surrounded by hollow clay figurines called haniwa. These haniwa seem to nothing more than tomb markers or status objects. Inside the kofun were many items that were both markers of status and of things practical, such as weapons and armor. Most kofun were constructed in keyhole shapes, like the one pictured here. But the shape and size depended on the time period. Earlier kofun were simply square shaped mounds that were surrounded by ditches. However they gradually became gigantic in scope and in a keyhole shape. Some believe that Emperor Suijin was actually a Korean who came to Japan with an army on horseback. However, it is more likely that he was simply a member of the Yamato clan and together they gradually gained power. The likely methods of power ascertainment would have been persuasion (including threats) with the occasional battle. The tactic of negotiating with enemies and incorporating them into one's own clan instead of battling them is largely seen as a preferred Japanese style of power consolidation. The Yamato clan was seen as "first among equals" until the early 500s, when they pulled ahead as the predominant clan. At this point the heads of the Izumo land were sending tribute to the Yamato. Around 450 AD, written language had been introduced to Japan. This led the Yamato to begin writing down laws and criminal codes and court events to some degree. Together with a strong military and strong unification of power, this is the time period when Japan began to become Japan. This is also the time period when the term Nippon or Nihon ("source of the sun") began being used. However, not everyone viewed the imperial court and the Yamato therein as their leaders. The further from the Yamato province, the more independent the leaders felt. Buddhism signifies the end of the Kofun Period and the beginning of the Asuka Period, although the two are not mutually exclusive. During the Yamato Period, Japan had quite a few interactions with foreign countries. 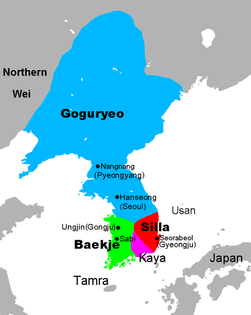 Chiefly among these were four kingdoms of what is now present day Korea, the Paekche, Silla, Koguryo, and Kaya. 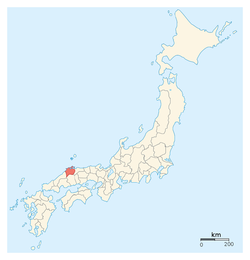 In the Nihon Shoki it is claimed, most likely falsely, that Kaya was a Japanese colony. It is also claimed that Japan invaded Silla under the 'Empress' JInguu (likely a fictitious character) in the fourth century (this is also likely to be false). Japan largely benefited from its connections to Korea by gaining a writing system, a new religion, and access to invaluable iron ore. It was during the mid 6th century, officially in 538, that Buddhism was introduced to Japan through Korea. Priest-scholars from, mostly, the Korean kingdom of Paekche brought the religion with them. A writing system had been introduced to Japan from the same area around the year 450. The Yamato helped consolidate its power by incorporating and promoting Buddhism. One predominant family in the Yamato clan, the Soga, especially favored Buddhism. They, like many other aristocratic families of the time, were of Korean descent. The Soga, like many rulers throughout history, saw the new religion as a means to help extend their own rule. Buddhism was encouraged as a sort of state religion, with the Soga heading Buddhist ceremonies. As Buddhism spread, so did the influence of the imperial family. Because the imperial family had come to accept Buddhism, as it spread across the land, so did the legitimacy of the imperial family. However, the religion did not spread until Empress Suiko came into power. During her reign, her nephew, Prince Shotoku (who was half Soga by blood), was appointed regent in 593, and together, they officially recognized Buddhism in 594. 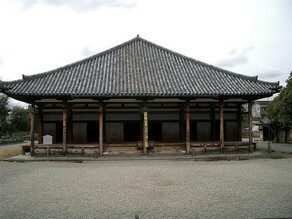 Prince Shotoku began building large numbers of temples throughout the land. Throughout this time, a powerful family who would become very important, the Fujiwara, fought against the adoption and spread of Buddhism. This clan, along with the Mononobe clan, were staunch supporters of the native Shinto religion. At the time, modern-day Korea consisted of three powerful kingdoms, Koguryo, SIlla and Paekche, and one smaller weaker kingdom, Kaya. It would seem that the three would temporarily join forces and attack the other, and then dissolve their alliances, make new ones, and attack a new kingdom. This wouldn't seem important in a Japanese history except that the kingdom of Paekche had a connection to the Yamato. While Silla had been working with the T'ang Dynasty of China, Paekche was a long-standing ally with the Yamato clan. Unfortunately for the Yamato, the Paekche were destined to be defeated by the Silla-T'ang alliance. In the mid 600s, Silla began to dominate the Korean Peninsula. In 663, a Yamato fleet was sent to aid the Paekche forces in their besieged capital. However, in the battle of Hakusukinoe, the Japanese fleet was to be destroyed almost entirely in their attempts to help. The Yamato were worried that the Silla would turn their attention to Japan after they consolidated control over southern Korea and built a large defensive structure known as the Dazaifu which would become an important maritime center for centuries to come. However, the attack never came. 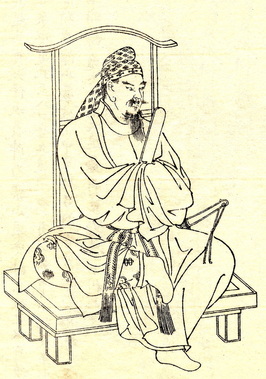 Prince Shotoku not only spread Buddhism (to help solidify his family's control of the government), but he also enjoyed Confucianism (to help solidify his family's control of the government). He introduced a cap rank system, which was a system whereby people's ranks in the imperial court could be deciphered by looking at their hats, and the 17 Article Constitution of 604. The constitution basically spelled out the idea that 'harmony is to be valued' and that people should know their place. Obviously this meant that overthrowing governments is a bad thing and that other people should just accept their place as the non-ruler. Did it work? Of course not. In 645 the Soga clan's power over the imperial family was overthrown by Fujiwara no Kamatari, who founded the Fujiwara clan (Japanese history reads like a Game of Thrones novel). However, it is interesting to note that the differing clans never chose to simply kill the imperial family and simply instate their own family in their stead. Rather, the new clans simply demanded to be put in positions of power whereby they could control the imperial court and family. The imperial family of Japan, while not staying 100% pure throughout history, is one of the most pure in the entire world; that is, compared to the princes and queens in many European nations today, the Japanese Emperor's lineage goes further back in history relatively unbroken. This system of simply overtaking the power of the court instead of killing those in power is relatively unique to Japan, and took place rather frequently; despite losing almost all power at certain times in their history, the imperial family has stayed the imperial family. The Japanese imperial family is the world's longest imperial lineage. The new Fujiwara clan maintained control over the imperial court for centuries thereafter. The clan put together the Taika Reforms of 645. This legislation nationalized land. This allowed the government to steal land from the people and give it to those it preferred have it. However, land was still given to every free male and females every six years. The Taika Reform also established a permanent capital in Osaka (although it didn't last very long). The reforms also increased taxation by taxing production. The reforms also created a sort of census which went out to measure the land (inaccurately), and count the population (there were some 5 million people in Japan by the end of the Yamato Period). Also, under the reforms, local officials were investigated for corruption, and unauthorized weapons were confiscated. Despite the recent population growth to 5 million, the trade and other forms of contact with mainland Asia led to epidemics ravaging Japan. Smallpox was the biggest and made the already difficult life of the average Japanese person even more difficult and tragic.